CMS Cepcor® replacement parts to suit Sandvik® CH and CS range of crushers are proven in mining and aggregate production worldwide. CMS Cepcor® has over many years developed a range of aftermarket crusher spare parts to suit Hydrocone® and Superior cone crushers manufactured by Sandvik®. CMS Cepcor® recognises that the Sandvik® Hydrocone® and Superior range of cone crushers demand parts manufactured to exacting material grades and dimensional tolerance. 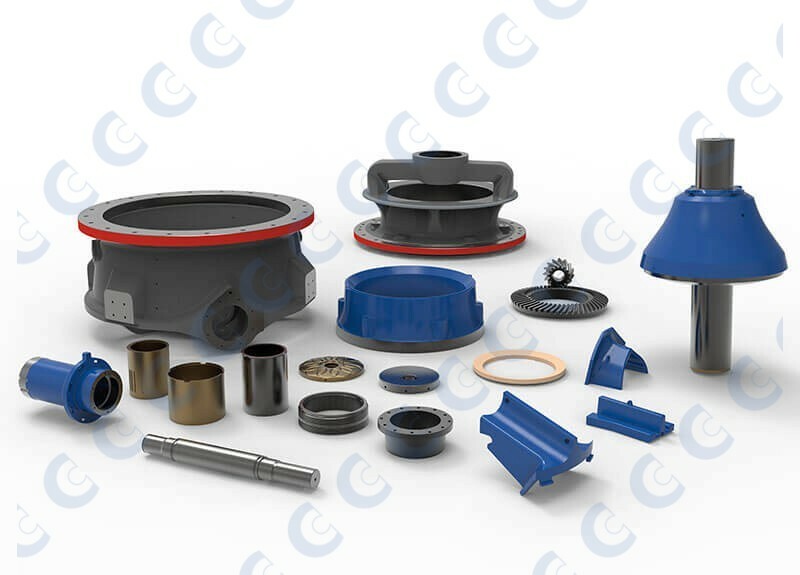 All CMS Cepcor® aftermarket parts are designed, manufactured and quality assured using state-of-the-art technology enabling us to successfully add replacement topshells, bottom shells, head centres and other major components to our product range. CMS Cepcor® has developed a range of premium aftermarket crusher wear parts to suit Hydrocone® and Superior cone crushers manufactured Sandvik®. CMS Cepcor® premium manganese concave, concave segment and mantle wear parts are available from stock in M14 manganese (-01 / M1 equivalent grades), M18 manganese (-02 / M2 equivalent grades) and M21 manganese steel. SANDVIK® is a registered trademark of Sandvik Intellectual Property AB, CMS Cepcor™ has no affiliation with Sandvik®.